At Tokyo’s Life Ending Industry Expo, companies touted products for the $41 billion industry in end-of-life planning and memorials. 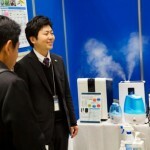 Vendors showed off their products at Endex, an expo devoted to planning for the end of one’s life, held at Tokyo Big Sight, a huge exhibition center. An urn on display at the expo could be personalized with a loved one’s photo. 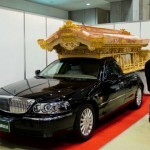 An opulent hearse, decorated in a traditional Japanese style. 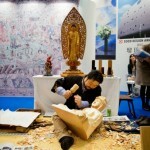 A craftsman works on a religious statue during the expo. 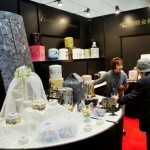 Some of the cosmetics products displayed at the expo. 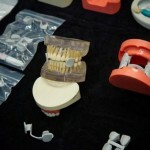 Dental products shown at the expo. One company displays its burial and funeral clothing. Ginga Stage, a company that shoots ashes of the departed into space, exhibits some of its conveyances. 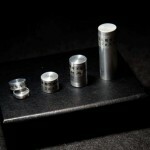 The Heart in Diamond company offers to turn a person’s hair or ashes into a gemstone. 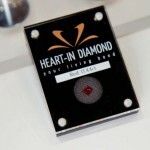 A closeup of a Heart in Diamond product at the company’s display. Traditional statuary and memorials were among the products on offer. 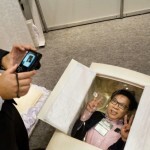 Coffins can be personalized for loved ones. 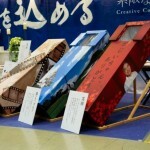 Some coffins on display were equipped with openings. 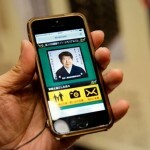 A man shows a smartphone app that scans a code to show memories and photos of the departed. 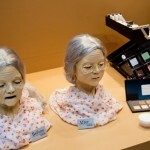 All manner of funeral-related items are on display at the Tokyo Big Sight center. An entire area showcases products for funeral preparation. One of the vehicles on exhibit. Life Ending Industry Expo 2015 attracted scores of exhibitors eager to participate in the $41 billion industry. 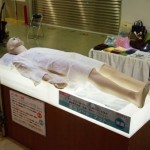 Nokanshi, the Japanese word for the task of preparing a dead body for cremation, is demonstrated (on a living model) before an audience at the expo. 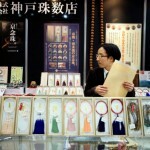 Jyuzu, a Buddhist prayer beads shop, exhibits its wares. Frames in various sizes and colors on display. 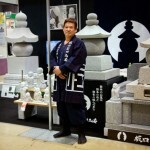 Traditional statuary and memorials were among the products on offer. In Japan, death is an opportunity for growth. Business growth, that is.In a country with many more deaths than births each year, Japanese companies are looking to maximize the amount of money people spend on shuffling off their mortal coil, from preparing “ending notes” and choosing coffins to arranging to have their ashes blasted into space or turned into diamonds. 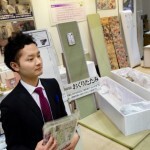 “I want to promote our products because we have almost 1.2 million people dying each year but we sell only 60,000 of these mats,” said Koichi Fujita, a representative of a company selling tatami liners and pillows for coffins. He was using slightly outdated death figures: Japan said goodbye to 1.3 million citizens last year but hello to only 1 million new babies. 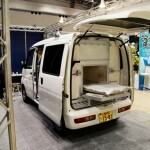 Fujita’s was one of the scores of companies touting their wares at Endex, an expo devoted to planning for the end of one’s life, held at a huge exhibition center in Tokyo. 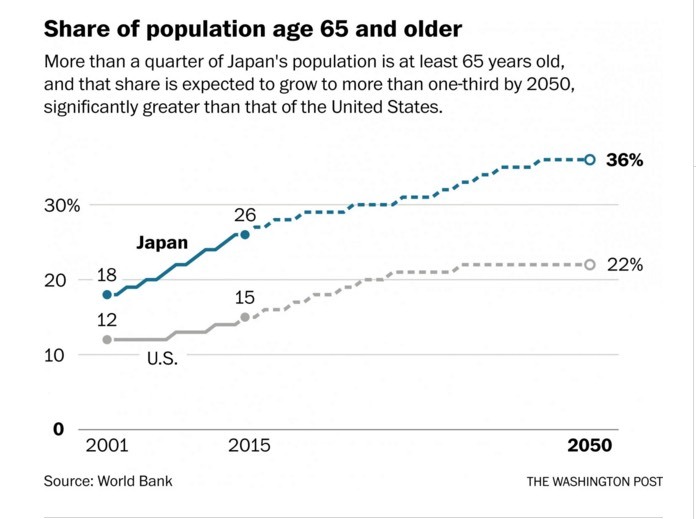 Japan has the fastest-aging population in the world. 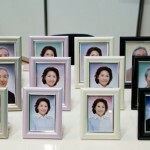 Slightly more than one-quarter of the population is 65 or older, and the Health Ministry forecasts that the proportion will hit 40 percent by 2060. 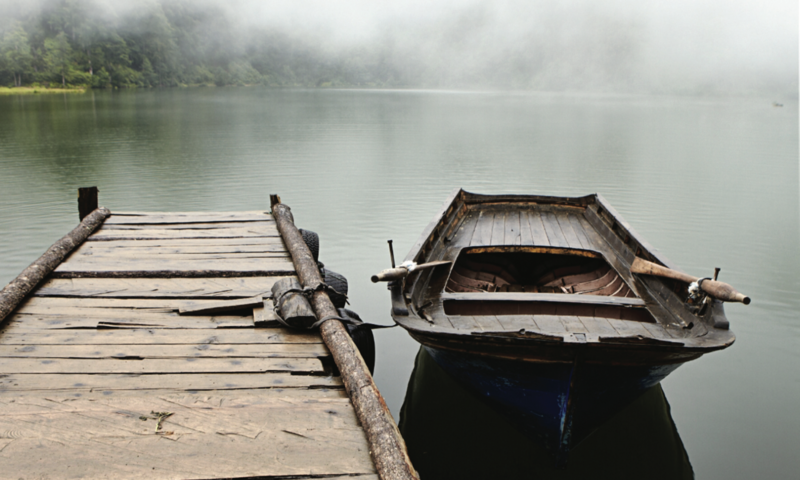 Many aspects of Japanese life are now geared toward senior citizens. Go into any drugstore and you will find shelves of diapers and sippy cups — for the elderly. Banks and post offices have reading glasses on the counters for customers with failing eyesight, while big pedestrian crossings have buttons to push for those who need extra time to get across the road. Panasonic has a line of easier-to-use household appliances — including washing machines, microwaves and rice cookers — targeted at the elderly, while convenience stores sell packaged food in smaller portions for seniors. But the business of actually dying is a whole other opportunity. 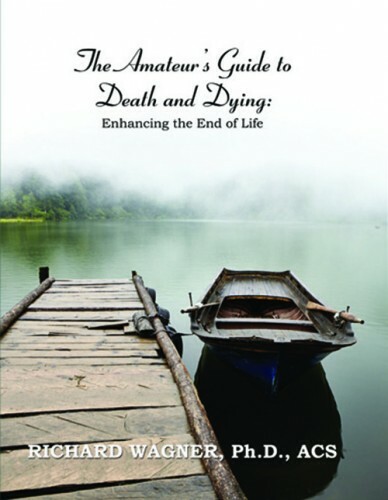 There is even a term for it here: “shukatsu,” or preparing for death. It is a play on a more common homophone for job-hunting. At the first Endex, or “Life Ending Industry Expo,” more than 200 companies were trying to get a bigger chunk of the industry, which the expo’s organizing committee said was now valued at a whopping $41 billion. There were the usual coffins and tombstones, plus the latest-model hearses. But there were also Buddhist monks touting for business — people are not keeping up with the annual rituals these days — and coffee retailers hoping to sell their products as gifts for funeral attendees, which is a custom here. There was also a mobile pet cremator offering to pull up his furnace-loaded van in front of your apartment building and turn Fido into ash. A 20-pound dog costs about $300 and takes about an hour to cremate. A hamster, considerably less on both counts. There were also some novel products for humans. Five people have had some of their remains sent into space, and another five are scheduled for liftoff next month . The cheapest “space memorial” — being launched into space and burning up on reentry — costs about $3,700, or you can go into orbit on a satellite, where your family can track you with GPS for 240 years, for $8,000. The deluxe model — having your ashes left in a capsule on the moon — costs an out-of-this-world $21,000. For those who want to stay on the ground, the Heart in Diamond company offers to turn a person’s hair or ashes into a gemstone. The company offers a range of colored diamonds — including orange, blue and green, in various sizes and carats — starting at $3,000 and going up to $20,000. 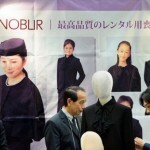 Most customers are women wanting to keep their mothers close, said Naoto Kikuchi, a company director, as he manned his busy stall. There is a special reason this “mourning jewelry” appeals to Japanese women, he said: “If you’re married, you are buried with your husband’s family, not with your own family.” That makes jewelry a way to keep your birth family close, he said. But there is another reason people in the shukatsu business need to innovate: Even as the number of deaths goes steadily up, the money that people spend on funerals and other such expenses is going steadily down. That means the overall industry is stagnant, said Kotani, of the Dai-ichi institute. 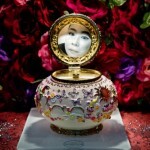 “In a place like Tokyo, about 30 percent of people who die don’t even have funerals — they just go straight to cremation. Plus, how much people spend on one funeral is declining,” Kotani said, adding that people are becoming increasingly frugal and are not wanting to cause stress for their families left behind. 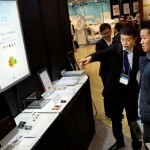 One of the 22,000 people who were checking out the options at the expo was Mariko Saito, a 68-year-old widow from Tokyo. “I learned about this on television,” she said as she perused small Buddhist urns.